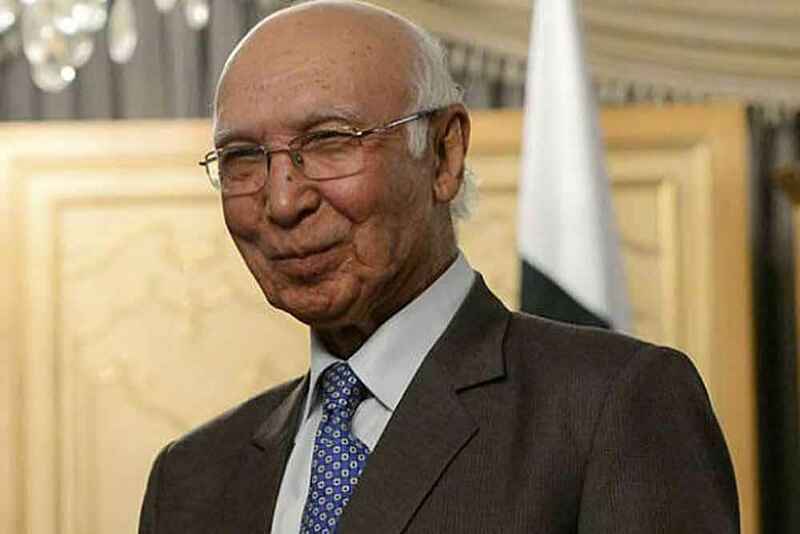 The chances of Pakistan and India resuming their bilateral cricket ties this year in December were dealt another blow when the country's National Security Advisor Sartaj Aziz said that he saw no chance of a revival in the current situation. Aziz, who is an advisor on National Security to the Prime Minister, told the media in Islamabad that he was not optimistic about cricket ties being revived between the two nuclear power countries because of the existing situation between the two neighbouring nations. According to television channels, Aziz said: "I see no chance of cricket between Pakistan and India under the current situation. The situation first needs to be made favorable in other things as well first." Aziz's remarks came one day after PCB chairman Shaharyar Khan returned from India saying he would be meeting the new BCCI chief next week in Dubai on the sidelines of the ICC meeting to discuss the planned series in the UAE and the MOU signed between the two boards to play six series between 2015 and 2022. Aziz said although the PCB was trying its best to talk to Indian cricket officials the potential of having the series were not good. "The PCB can comment on this in detail but I am not very hopeful of any cricket series soon," he said. Pakistan and India have not played a Test series since 2007 due to strained relations even though the greenshirts did tour India for a short limited overs series in the winter of 2012/13. BCCI has said that the December series is subject to first getting clearance from their government and the relations improving between the two countries. Shaharyar has been pressing for the series to be held and has even discussed the matter with Aziz but after the prime ministers of both countries didn't meet on the sidelines of the recent UN assembly in New York hopes have dwindled that any series will be held in December. Shaharyar himself admitted on returning to Lahore that if India didn't play than PCB would consider an alternate plan which included having the Pakistan Super League in December in UAE instead of the announced dates of February 4 to 24th. A PCB official contacted late night said that the PCB was also bound to get clearance from its government for any bilateral series with India. "We have still not given up hope but the comments by our national security advisor means the series is in danger," he said.